Join us November 30 and December 1 at Gallery 1639 for a festive Holiday Pottery Sale. The four of us will all have new work that you can fill with warm and toasty beverages all Winter long. Pottery is also the ideal stocking stuffer for those hard to buy for relatives. We are very fortunate to be in this contemporary space. The architecture embraces Cor-Ten steel, reclaimed timber beams, and cast concrete, and ample daylight to create the perfect atmosphere to view handmade pottery. Read below for information on the participating potters. We hope to see you there! The preservation of a disappearing landscape through imagery on functional pottery is the reason I create. Inspired conceptually by the regionalist painters of the early 20th century who sought to document the rural landscapes of America, I see myself as a modern day Regionalist working with clay. I make pottery decorated with the landscapes, flora, and fauna of Minnesota. This region is being vastly altered by commercial development and urban sprawl, forever changing its natural character. My hope is that the daily use of my pots will be a gentle reminder to the public of the vanishing natural world around us. The goal of my work is to create strong, clean forms that capture the spontaneity of the clay formed on the wheel. My pottery is a reflection of my life experiences, travel and personal relationships. I work with a variety of clay bodies and firing atmospheres: low to high fire, soda and wood. My pottery has been historically wheel-thrown and functional; however, since an inspiring workshop in Tuscany and the construction of a wonderful new studio, my focus has changed to include wheel-thrown altered and hand-built work. Clay has always been an important part of my life. Recently it has inspired me to make a profound change in my life’s direction through a career transition. I now have the opportunity to give my passion the time it deserves. 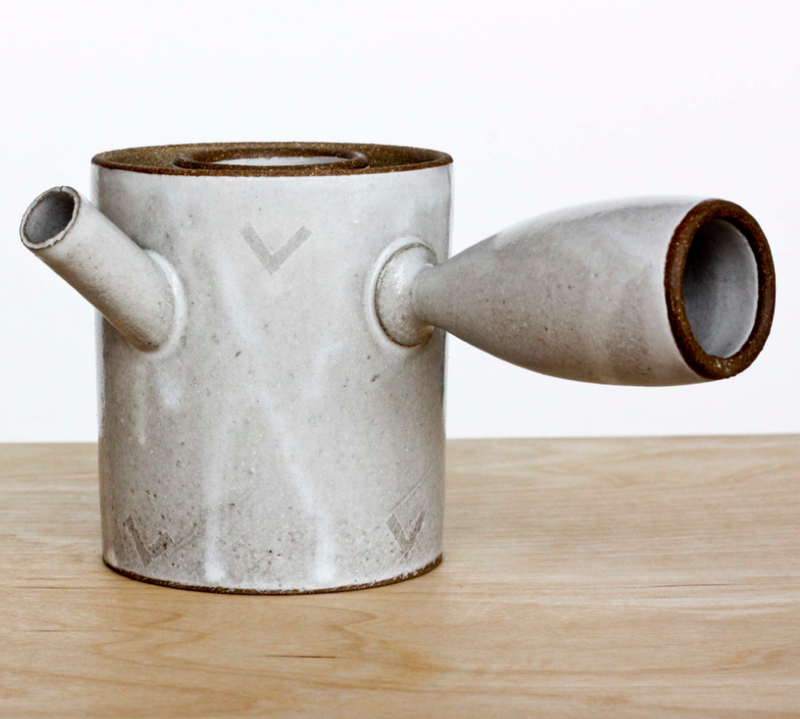 Adam Gruetzmacher is a studio potter working in Saint Paul, Minnesota. In 2010 he graduated with a bachelors degree in Fine Art from the University of Wisconsin to pursue a career as a potter. He makes functional tableware using traditional wheel throwing and hand building techniques. Working in such a way allows for subtle variations to occur naturally over the arc of a making cycle; enabling him to consider each piece individually. With great respect for craftsmanship, Adam is interested in exploring the intersection of historical hand-making traditions and the aesthetic of mass production. He takes pride in making every-day objects that work well and are crafted with care and consideration. Our wood-fired pots are inspired by the rich global tradition of folk pottery, and grounded in the rolling hills of Southwest Wisconsin’s Driftless Region. We collaborate with each other, our hand-processed local materials, and our wood-fired kiln in pursuit of functional pots with warmth, depth, and character. The energy and life in our pots emerges from our interpretation on traditional shapes, surfaces, and methods of working. The completion of this cycle comes with sending our pots out into the world with you for everyday use and enjoyment around the kitchen table.